Great gift idea for any holiday. 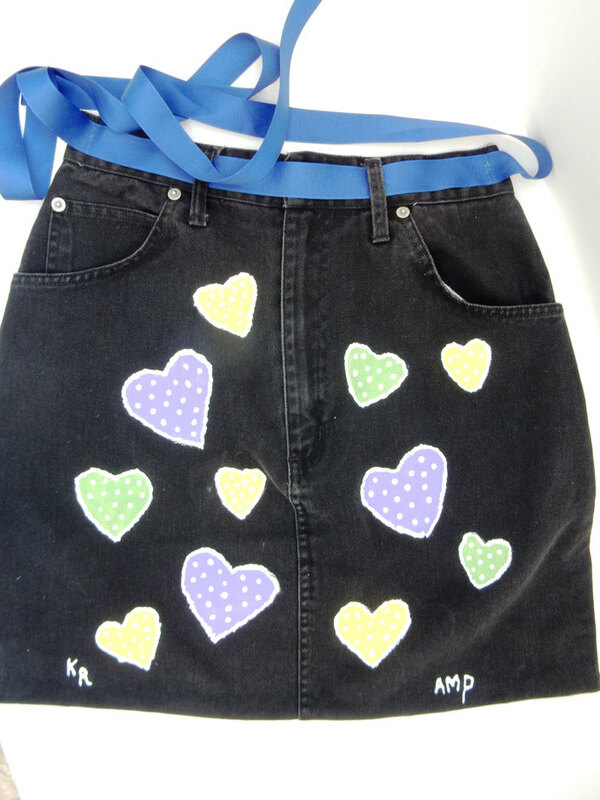 Handmade and hand painted half apron. Great recycled black denim item. 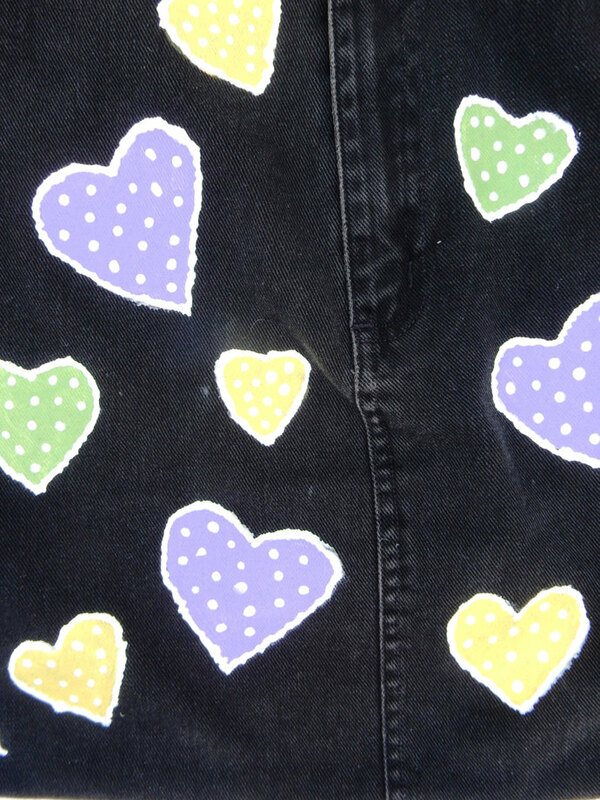 Hearts are painted with durable fabric paints. Apron is machine washable on a gentle cycle. Apron is 13" wide at the waist and 17" long, with extra-long grosgrain ribbon ties. Great for teens or adults.